Your yacht could be located right here at the Atlantis Hotel Marina on Paradise Island for boarding and starting your yacht charter vacation in the Bahamas off with a bang. Or stay several days before or after your charter to wind up or wind down. Overlooked by the hotel complex, the marina is tucked into the harbor front of the resort. Surrounding the marina are the Marina Village Shops ringing the docks. 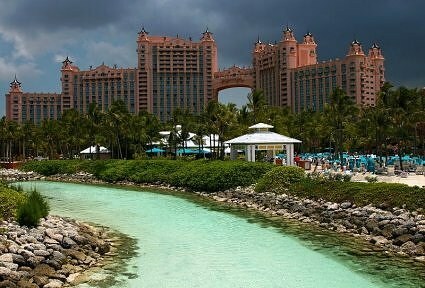 The Atlantis Hotel and Marina is an impressive, sprawling resort with services for families, children, and honeymooners. 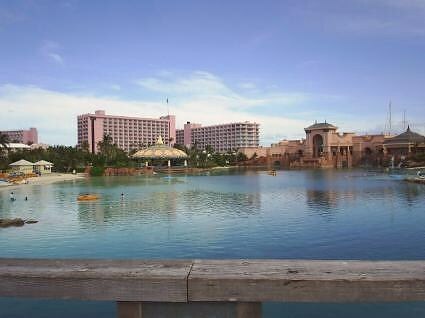 Three separate towers, a beach villa, and the world’s largest open air marina make up the Atlantis Bahamas resort. Hotel and marina guests have access to the 24-hour casino located on the hotel grounds, as well as the many pools and restaurants.The Royal Towers building is the tallest building on Paradise Island, as well as the newest addition to the Atlantis hotel Bahamas. 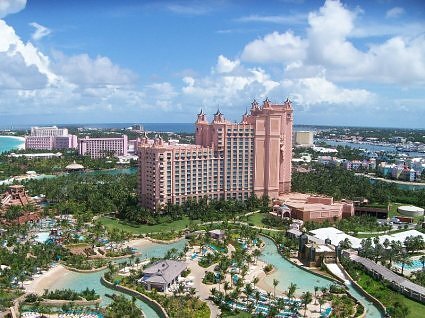 The Royal Towers is easily the most upscale tower at the Atlantis hotel Bahamas and features a luxury suite on the 17th floor. The Royal Towers is also located within easy reach of the hotel marina and the underwater streets for viewing that are filled with fish and artifacts. The Royal Towers is also located right next to the Casino and multiple hotel restaurants. 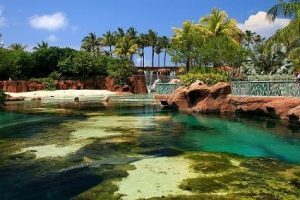 The Coral Towers are located between the Royal Towers and the Beach Tower and feature mid-priced hotel rooms at the Atlantis in the Bahamas. 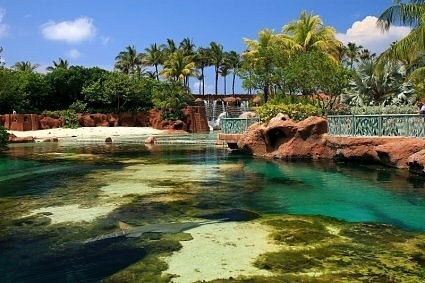 The Coral Towers are located right next to Predator Lagoon where families will enjoy viewing predator wildlife lagoons. The Coral Towers rooms are the smallest at the hotel, but are clean and comfortable none the less. The rooms in the Beach Tower are the least expensive rooms in the hotel, as the Beach Tower is the oldest building in the hotel. Guests of the Beach Tower will still have full access to all of the great amenities and attractions features at Atlantis in the Bahamas. The Beach Tower is on the east side of the hotel and located near the hotel Lazy River and the River Pool. 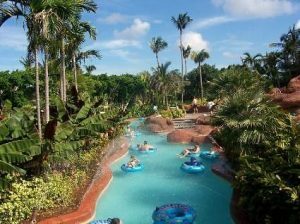 Outside, there are numerous pools, water sports, beaches, and other water fun including water toys, and the Lazy River Ride and the Power Tower. Visit the marine life exhibits, include the Underwater Viewing Tunnel and the Royal Stingray Lagoon. Relax in the Spa or be entertained in the night club, casino or large screen movie theatre. There is full family fun for all age groups in the complex.